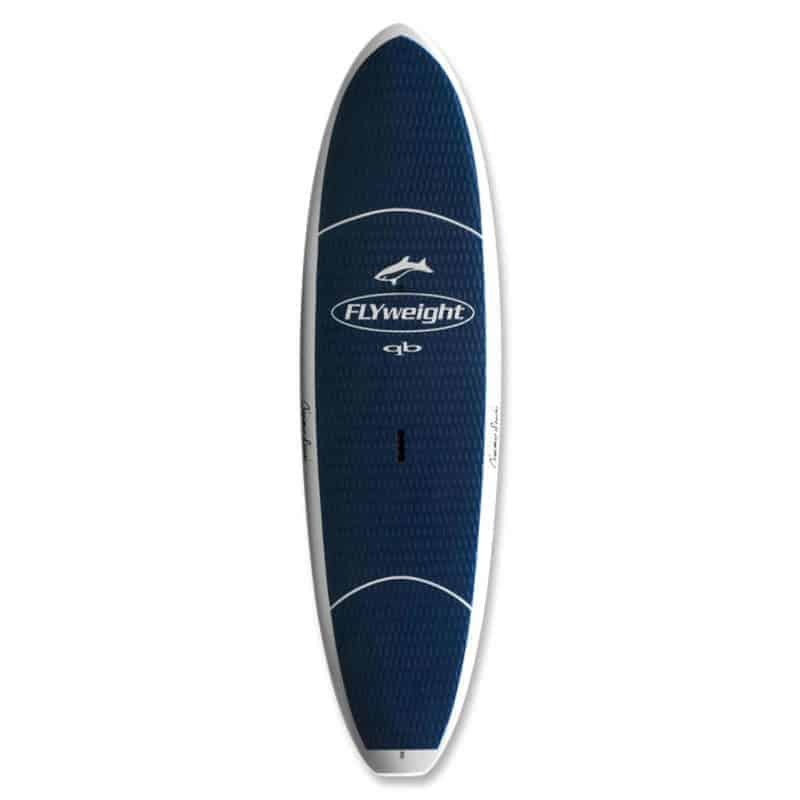 Jimmy Lewis Flyweight Quickblade SUP – SUP, Windsurfing UK. 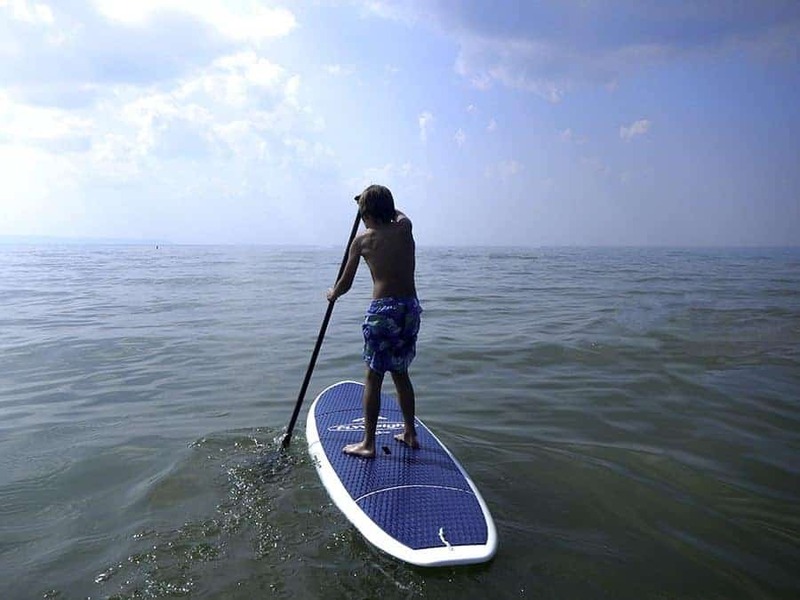 Jimmy Lewis Flyweight Quickblade sup surf board was shaped to give kids the ultimate sup surf experience, but we’ve seen children enjoying it just for all round paddling. 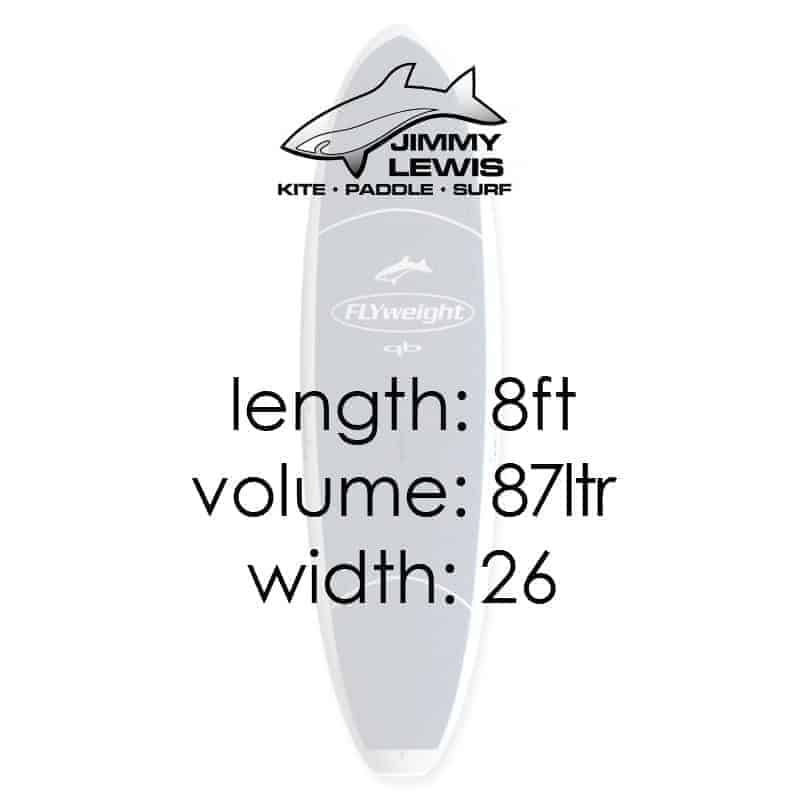 The Jimmy Lewis Flyweight was designed as a kids board primarily. They needed something that bit smaller so the Jimmy Lewis Flyweight was born. 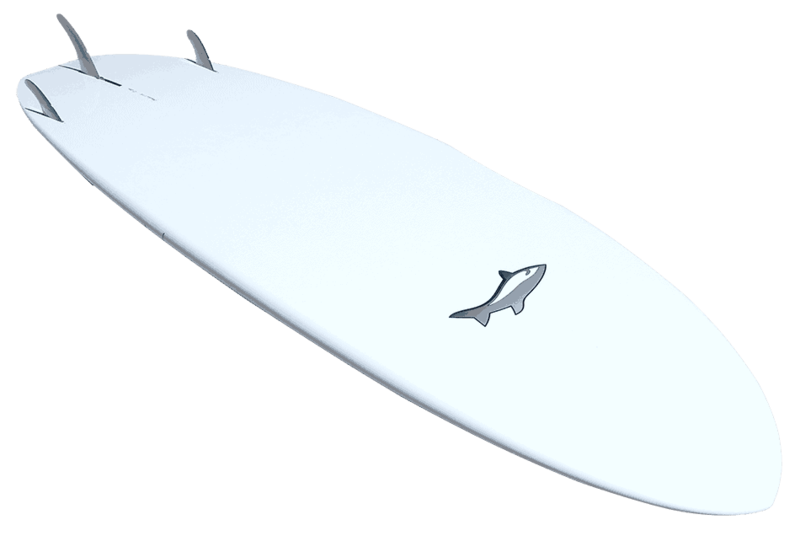 Designed to be manouverable, lightweight and fun this board is a serious surf shape and fun all rounder in one. Having a full length deck pad is a real bonus as kids tend to like rolling around on their kit and trying tricks that us oldies can’t do. As always the construction is tougher than any other so even with hard use the board will still look great. First of all we checked out if a grown up, that’s you and me could enjoy something this small. As always I weight 85kg so for me this was a tricky board to paddle. I had to keep paddling to keep it afloat but luckily the water was glass so that helped. My mate who only weighs 62kg was fine and paddled about without effort. Once on a wave nothing mattered other than how it handled. The board performed brilliantly with a few nose rides to boot. For me it rode really well and being so narrow made it really nippy. For the kids this was a super boost compared to kit they are used to. It carries performance you only really find in performance sups so they loved it. If your kids are looking for performance then the Jimmy Lewis Flyweight Quickblade board is the real deal. 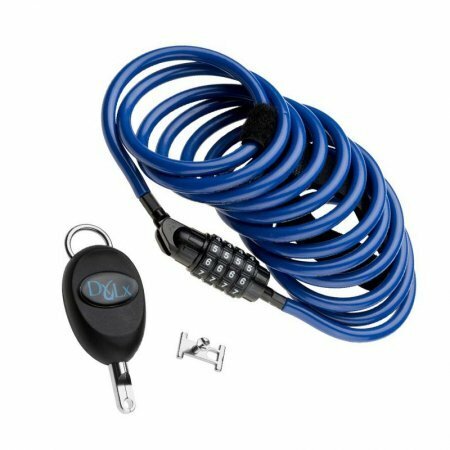 You may also consider the smaller models of 8’2 Stun Gun, 8’2 Kwad, Super Tech and WorldWide.